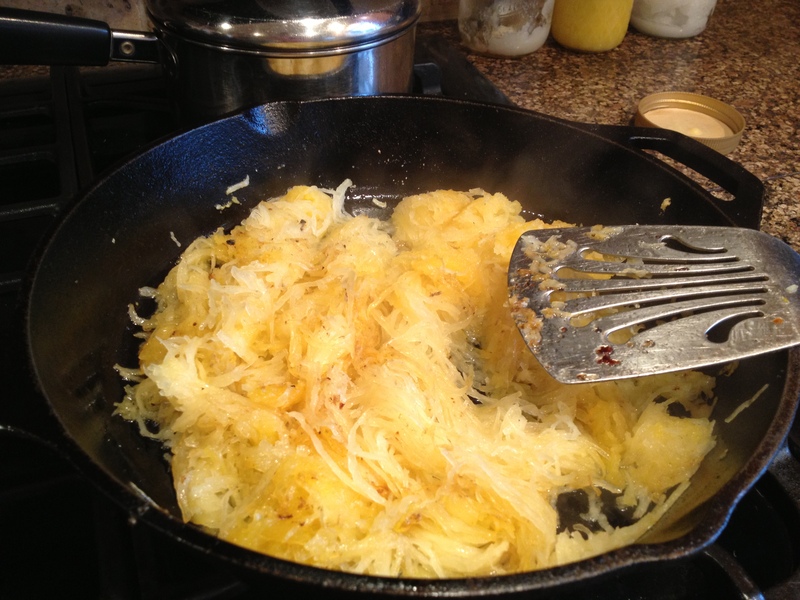 I thought the sauteed spaghetti squash (leftover from our “spaghetti” of last week) was good. Mr. Wonderful disagreed. You can decide for yourself. Do you notice I’ve had fewer pictures, less new meals, and more recycled meals in the last few days? Yes…running out of steam. 🙂 Looking forward to day 31 when we can add dairy back in!